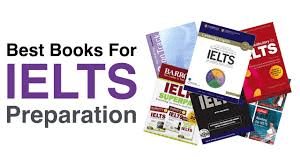 This topic contains 0 replies, has 1 voice, and was last updated by IELTS Online Practice 6 months, 1 week ago. Nowadays people get married and having children in their thirties rather than when they are young. Do you think it is a positive development or negative development.?? These days, an increasing number of families from many parts of the world decide to give birth to children later in life after having already settled down. This trend, which can be attributed to personal preference of the young generation and the growing need to provide children with proper nurture, is considered to have positive impacts on individuals and society. One of the reasons why parents choose not to have babies until reaching their thirties or later is their desire to pursue personal ambitions. Some of these people prefer to develop their career by devoting a large amount of time working on projects, for example, so that they can achieve a high position in prestigious companies, while others would rather make the most of their freedom life before tying themselves to the resposibilities as full-time mothers or fathers. Having children means that these individuals have to sacrifice their future plans and dedicate most of their time taking care of the newborn. Financial incapability is also the main cause for this tendency. A large number of spouses delay having babies because they want to give priority to stabilize their employment as well as residence. Only by doing so are young couples able to provide the offspring with sufficient nourishment and education, so that these children can grow up physically and mentally healthy. As a consequence, both children and the society can benefit from this trend. To be specific, these children, who are brought up properly, can fully develop their talents and abilities without any sufferings resulted from famine and malnutrition since childhood. The young couples, also, without babies being a burden, can enthusiatically commit themselves to work and thus play a vital role in boosting the nation’s economy. In conclusion, giving birth to children late in life may not as bad an idea as it may appear. But since having babies can have significant influences on both families and the community, couples should take it into account before making the final decision.